Being born and raised in Flanders I always admired the art of the Flemish and Dutch masters. The dark tones of the Flemish still life painting I grew up with in my parents dining room has influenced me in my art and photography. I love nothing more than to play with natural light to create these moods in my images. I work closely with clients to reach the message they want to send out and will always provide guidance in a visual story where needed. A picture is worth a thousand words they say, and I believe it is necessary to choose the right photographer for the right job, to communicate the right message or story. As a graphic designer I have re-branded several small businesses and guided them into the very competitive market. My photography and graphic design work in harmony together as I am always one step ahead when I shoot a photo, thinking of how it might be used in a book, or website etc. I have published two books and write articles for publications (see press page here). I also write a blog which was affectionately named Miss Foodwise by my friends. Both my blog and book have won awards. 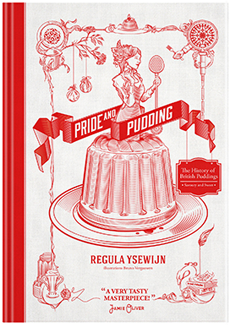 My first book ‘Pride and Pudding‘ was published in Dutch october 2015 and in the UK, Australia and New Zealand, april 2016 (Murdoch Books). It tells the history of the British pudding, from ancient times until present day. 368 pages. The title refers to the prejudice surrounding British food and is also a link to the fact that I taught myself English as a child by reading Jane Austen. I wrote the book in English and it was shortlisted for the Andre Simon Award, Fortnum & Mason Award and it won a World Book Award for Britain. 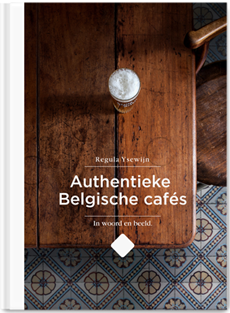 My new book ‘Belgian Café Culture’ (Authentieke Belgische Café’s) was published in the autumn of 2016. It is a photographic document about the old style Belgian café’s and their interior and history. Many of these cafés were founded and are run by women which is an interesting narrative. The book is available in a bilingual edition Dutch/English, published by Luster books, 278 pages with hardback finish. Together with two other creatives I run creative gatherings and workshops. I also regularly give lectures on the wide subjects I handle. For six years I have been a judge for the Great Taste Awards from The Guild of Food Fine Food in the UK. This is the most important retail food award in the world. This year I also started as a judge the Great British Cheese and World Cheese Awards and I’m also one of the two judges on the Belgian edition of the Great British Bake Off: Bake Off Vlaanderen. I give regular talks on the subject of British Food history, and in the past also about design and branding though I am moving away from that. I have also been asked for BBC radio and television to talk about my expertise, and in the autumn I will be a judge on Belgian television for Bake Off Flanders. 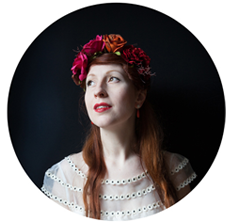 My photographic work, blog and writing have been featured by BBC Breakfast, BBC Radio 4’s Woman’s Hour, the Guardian, the Telegraph, the Independent, Jamie magazine, delicious magazine, BBC History, and more. I am also a Great Taste Awards judge and a member of The Guild of Food Writers.